The Inspire 2, DJI’s flagship professional drone, will fill you with creative inspiration. This is the long-awaited successor to the Inspire 1, a drone that became the mainstay on movie sets around the globe. The $2,999 price tag (without camera) reflects its superior level of engineering and sophistication. The Inspire 2 inherits its predecessor’s design, with landing gear that pivots upward to bring the motors above the fuselage, allowing the camera to have an unobstructed 360-degree view of the world below. Despite similarities, the Inspire 2 is a major evolution that reflects the exponential advances of drone innovation since the Inspire 1 was released in late 2014. A sophisticated collision avoidance system provides forward and upward crash detection while the downward Vision Positioning System monitors the terrain below to help keep the drone safe. The dark gray, magnesium alloy body and carbon fiber arms give the Inspire 2 a sleek look. 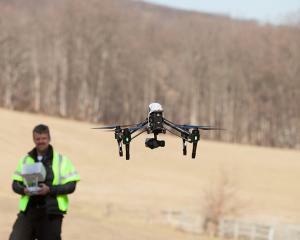 The drone supports dual-operator mode, allowing a pilot to fly it while a photographer controls the camera. A nice upgrade on the Inspire 2 is the two-axis first-person view camera that’s just below the nose of the drone. It gives the pilot a stabilized, constant look forward to support complex flight maneuvers during dual-operator flights. The Inspire 2 is disturbingly fast. When the Sport mode is enabled, it can fly more than 60mph and sounds like a small war bird as it tears through the air above you. Sport Mode provides enhanced control authority over the drone, which gives flight crews the ability to capture complex action sequences like car chases. If you want to make some additional noise in the air, just wait until you experience the 360 Quickspin, a fully automated, complete spin of the drone (regardless of flying direction) to unwind the camera gimbal. This results in an ability to continuously pan the camera a full 360 degrees without interruption. The Inspire 2 introduces Spotlight Pro to DJI’s set of intelligent flight modes. This is a powerful feature that gives a single operator the ability to mimic scenes that previously required a pilot and a camera operator on a second controller. By highlighting an area of focus in the scene you’re viewing, the drone knows the subject you want it to focus on. This allows you to fly the drone toward, around, or over the target while it autonomously controls camera movements to stay focused on the subject. The result: sweeping, cinematic scenes that make it easy to understand why this drone is a mainstay on film sets. Sold separately for $1,899 is the X5S camera. Like the drone itself, the X5S represents an evolution of aerial image capture capabilities. It’s compatible with a complete family of Olympus Zuiko lenses from 12mm to 45mm. Still captures are full 20-megapixel images with increased dynamic range and better high-ISO performance. For video capture, the X5S breaks through the 4K barrier by capturing 5K raw video in two professional formations, Apple ProRes and CinemaDNG. To handle the huge file sizes, the Inspire 2 has an integrated CineCore 2.0 onboard image processing system that accepts a CineSSD drive in 120GB and 480GB sizes. Users can capture 4K video at 100mbps (like the Phantom 4) on a standard MicroSD card located on the drone fuselage. While most Inspire 2 buyers will pair it with the X5S camera, DJI introduced another camera option, the X4S. The X4S has nearly identical specs to the Phantom 4 Pro camera, providing an ability to capture 20-megapixel still photographs and 4K video at 100mbps. The X4S costs around $600. The Inspire 2 features the latest version of DJI’s Lightbridge technology that provides an HD feed from the drone’s camera to a tablet or smartphone monitoring device. Support for dual 2.4GHz and 5.8Ghz control frequencies improves control of the drone in urban areas saturated with cell phone and Wi-Fi signals. News crews are thrilled with the ability of the Inspire 2 to support dedicated 1080i50 and 720p60 transmission signals that are cable compatible with satellite trucks, providing an ability to broadcast live aerial feeds pronto. Flight endurance is nearly doubled over the Inspire 1 with the introduction of a dual-battery design that provides flight times of up to 25 minutes. 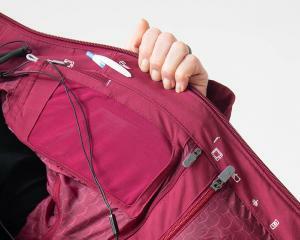 The batteries feature a unique 70-watt self-heating system to protect themselves when the drone is operated in low-temperature environments. Two batteries in parallel also provide added safety while the Inspire 2 is airborne. If one battery fails, the second can power the drone to a safe landing. 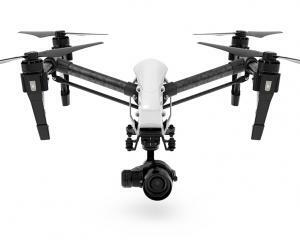 The Inspire 2 does a remarkable job of building on the Inspire 1’s groundbreaking design and abilities. It’s a highly responsive, charismatic drone that commands the attention of those around it. This is not, however, your grab-and-go drone solution. 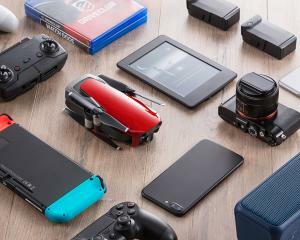 Its size means that transporting it to your favorite flying field will require some protected space in your car or the patience to put it back into its sturdy carrying case, removing the camera from the gimbal, removing the props, and putting the drone into a special travel mode so that it’s configured to fit in the case. 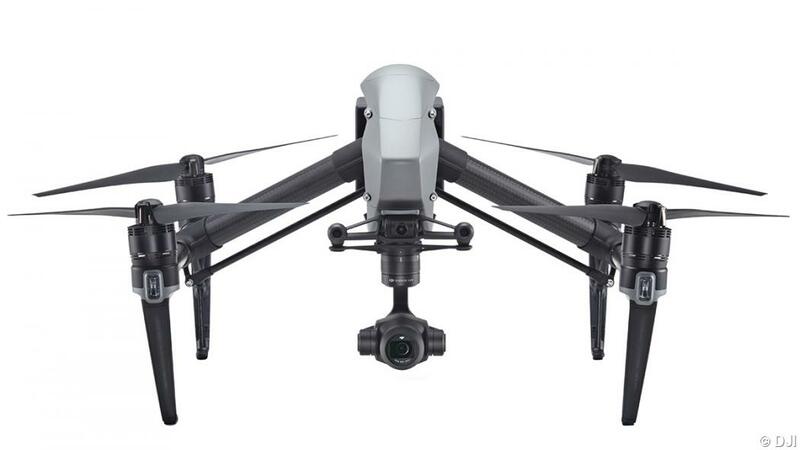 That said, it’s clear that professional photographers or cinematographers looking to take their aerial photography to the next level will be delighted with the Inspire 2’s stunning image and video quality. It is a sophisticated aerial platform that has no real competitor in the industry. The Inspire 2 is simply … inspiring! 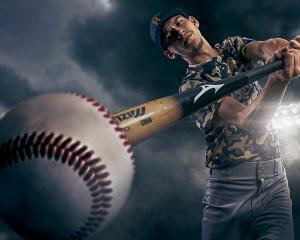 Justin Moore is a pilot and professional photographer in San Antonio.